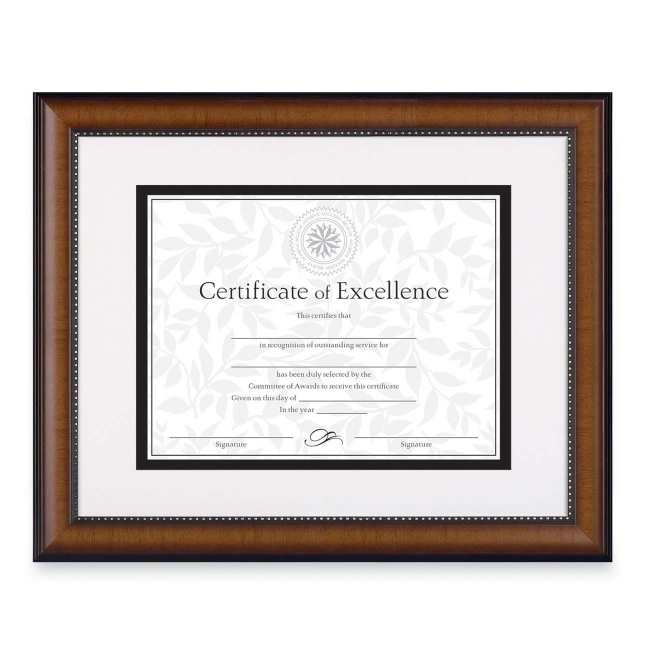 Document frame features gold-beaded accents along the frames inner border to add an elegant touch and highlight an achievement certificate. Design also features rich tones, a clear glass front and easel back for desktop display. Hang vertically or horizontally. 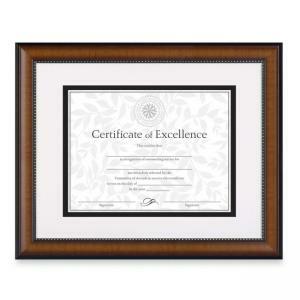 Document frame includes an ivory bevel matte for 8-1/2" x 11" documents and a certificate.